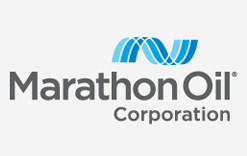 Marathon Oil Corporation (NYSE:MRO) is an independent global exploration and production company. Based in Houston, Texas, the Company has activity in North America, Europe and Africa. The Company has three reportable operating segments, each of which is organized and managed based primarily upon geographic location and the nature of the products and services it offers.